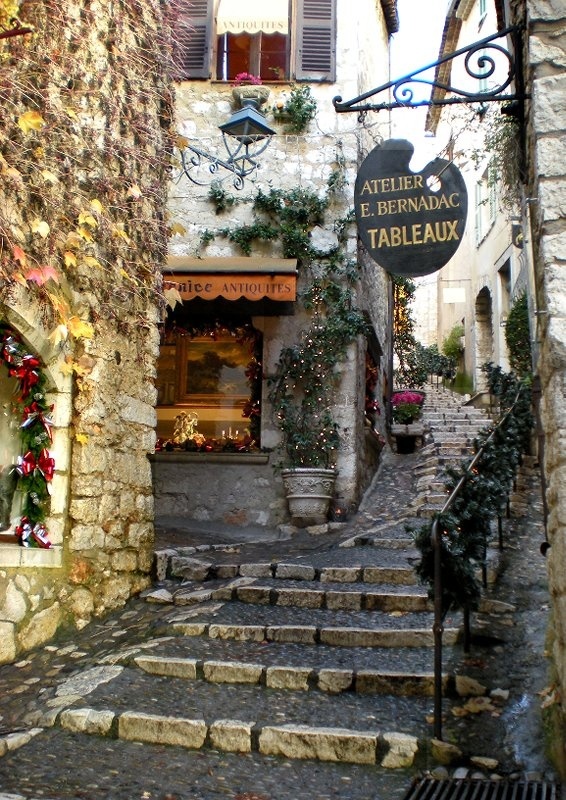 Saint Paul de Vence is without doubt one of my favourite places in the world. Photos simply can’t do this village justice, it is the most captivating, dreamy place I’ve ever been. It’s so pretty and out of this world that when you are there doesn’t even feel real – it is straight out of a movie. 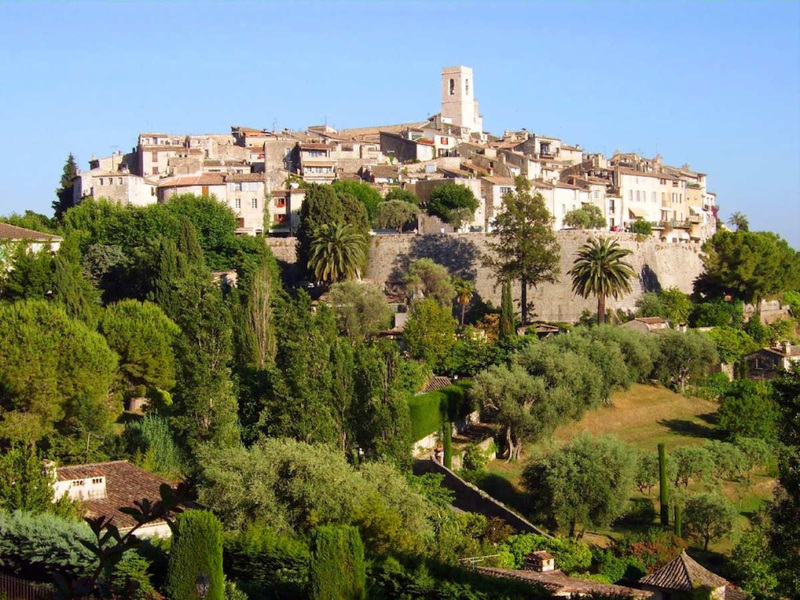 Saint Paul de Vence sits perched on a hill top with walled ramparts. 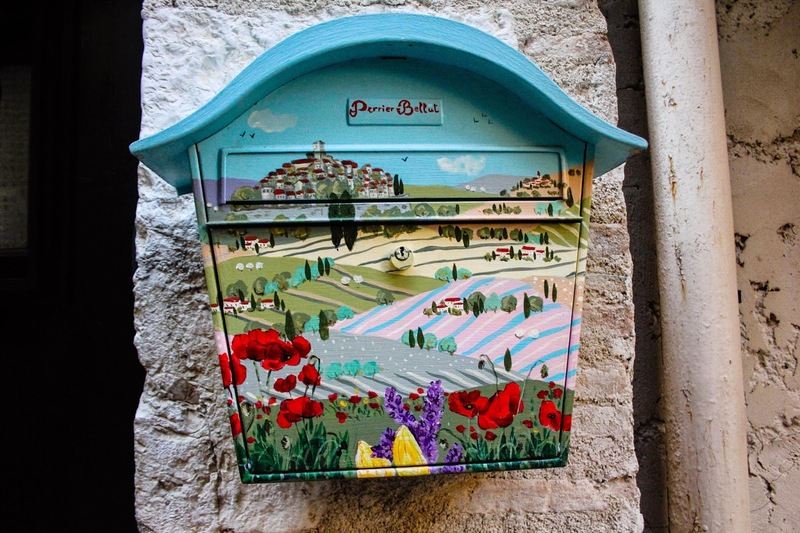 It is everything you would expect from a medieval provincial village – manicured hills, brown stone fountains, small winding lanes, expensive art galleries and French men playing pétanque. This village is almost too stunning for its own good; even the ground below is beautiful with flower patterned cobbles. Picasso, Chagall, Braque, Calder, Matisse and Yves Montand all called Saint Paul de Vence home at some point. After WW1 many of these artists paid for food and accommodation at the village's only hotel with paintings which still hang on the hotel’s walls today. This hillstop villages oozes culture and glamour, there's something undeniably authentic about it. 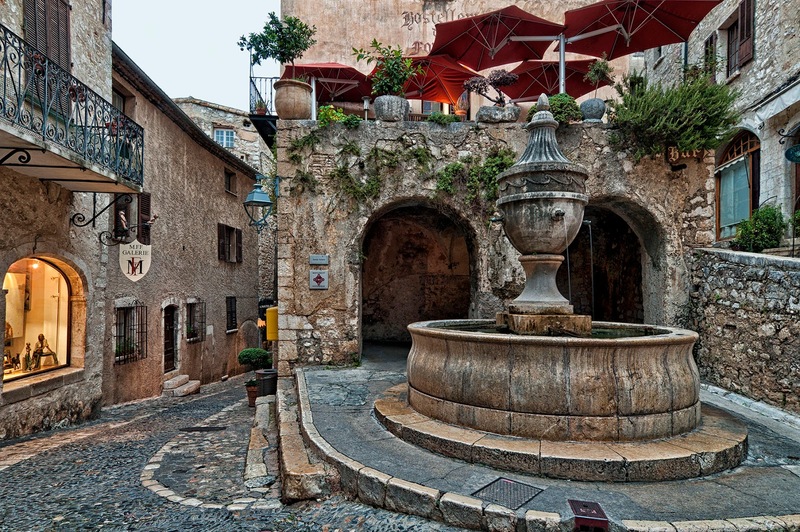 While celebrities have been flocking to the French Rivera for years, stars including Kirk Douglas and Gene Wilder saw Saint Paul de Vence as an escape from the madness of Cannes and Nice. More recently Blake Lively and Leonardo Di Caprio have been spotted. You never know who you'll run into on a daytrip to Saint Paul de Vence! While you will pay a pretty penny to live the french dream in this village for even one day, it is most definitely worth it and deserves to be added to your travel bucket list!